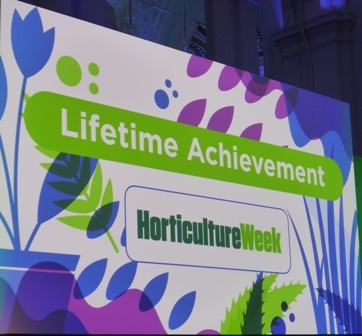 The U40's biennial Conference depends on the generosity of the sponsors; without their support it would be impossible to organise at an 'affordable' cost for the young people who are so important to the future of our fruit industry. On the opening day of the Conference, sponsors traveling with the delegates are invited to make presentations to the Under 40's. The list of 'lead sponsors' and their representatives 'presenting' are listed below. Since agreeing to take responsibility for the Under 40's 2017 Conference, the committee have been working hard to ensure a successful event. 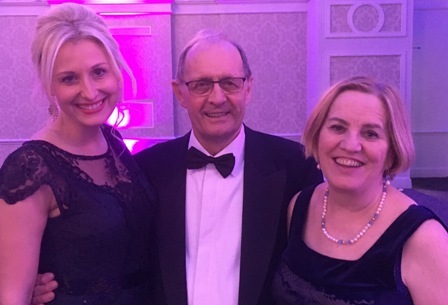 This, the 50th Anniversary Conference (the first was in 1967) Chairman Charlie Dunn and his committee have 'broken new ground' by organising the first U40's Conference to be held in The Southern Hemisphere. It's our Birthday!! - The under 40's is 50 this year! 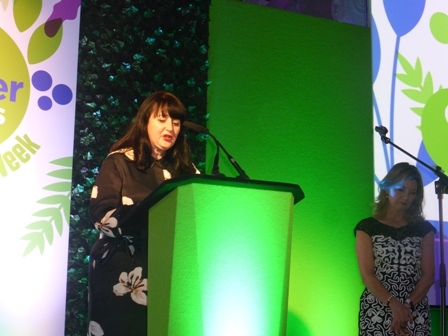 "We are thrilled to be able to celebrate the 50th Anniversary of the Under 40's with its first trip outside of Europe. 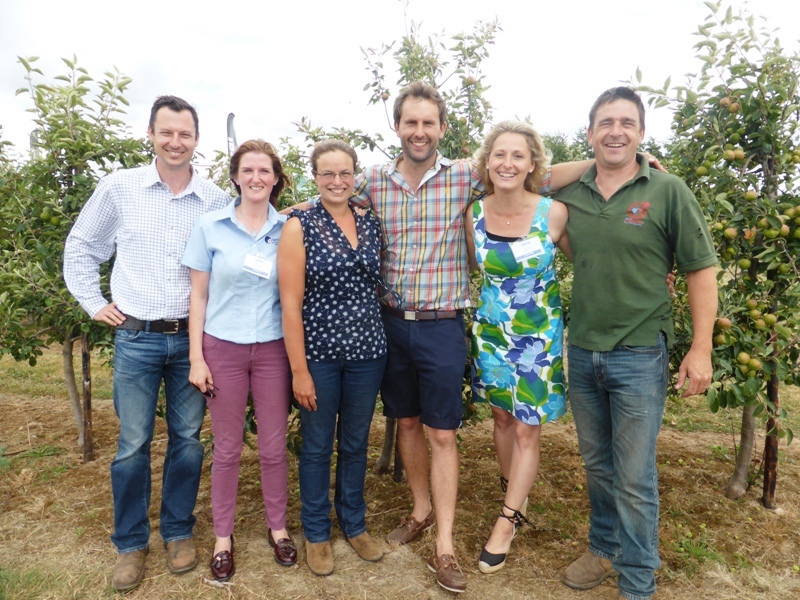 "We are visiting 10 different growers over the 5 days covering soft fruit, top fruit and stone fruit. 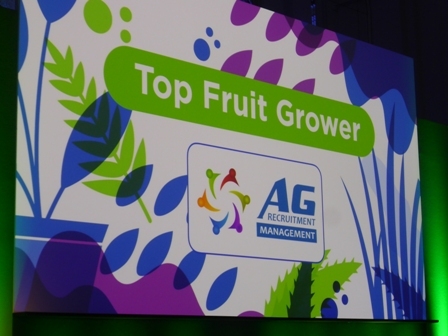 These growers range in size from small family business's to large companies producing over 60,000 tonnes of fruit. "We are also visiting Machinery manufacturer Red Ant and going to the South African Plant Improvement Organisation. 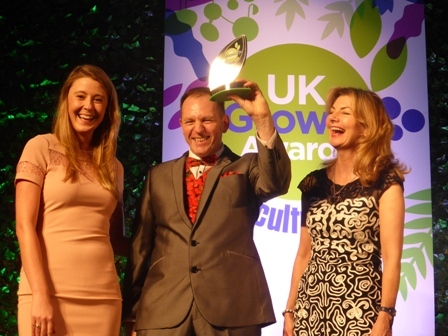 On Thursday 23rd February, The English Apple Man joined fellow judges as guests of Horticultural Week Editor Kate Lowe at the 2017 Grower of the Year Awards Evening held at The De-Vere Grand Connaught Roomsin London. 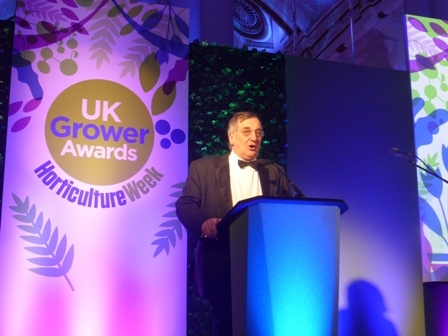 NFU president Meurig Raymond addressed the event which was opened by Horticulture Week editor Kate Lowe. 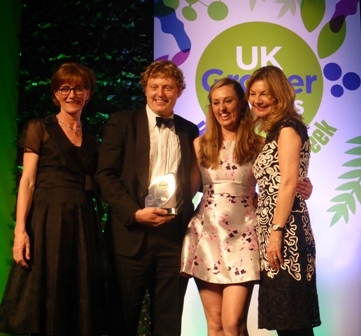 Comedian Jo Caulfield presented the awards. 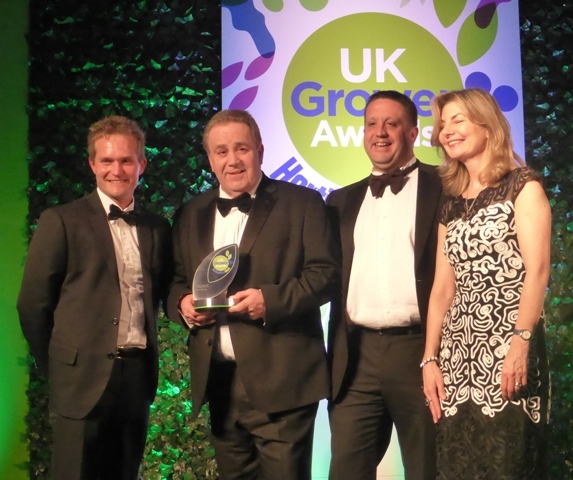 De Lacy Executive sponsored the Best Production Manager; won by- Andy Roe of Flavourfresh Salads. 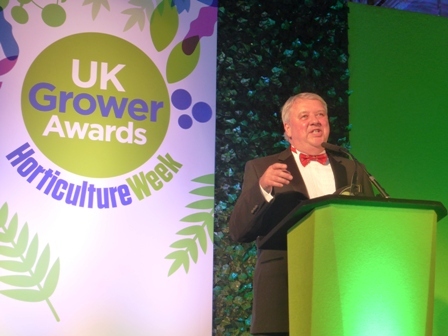 NFU Chair of Fruit and Potatoes, Ali Capper announced the winner of the Young Grower of the Year Award - Andrew Tumilty of Sunnyfields. 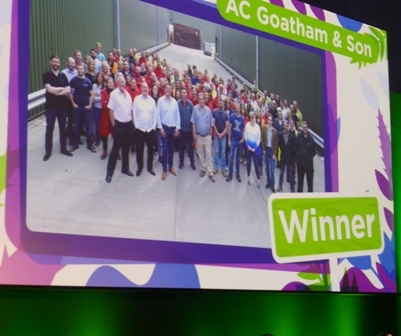 The Top Fruit/Stone Fruit Grower of the year was awarded to A.C.Goatham & Sons who won this prestigious award for the third time. 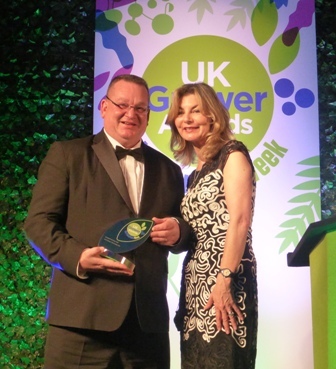 Below: Nick Marston - who retires this year from Berry Gardens after a distinguished career leading Berry Gardens to the undisputed 'number one' position in UK Soft and Stone fruit supply.